Hi-ho buckos! 'tis speak like a scurvy pirate day 'n I thought it would only be fittin' to gift ye some scurvy pirate Lunchtime Laughs! Also, did ye be knowin' that ye can adjust ye speak settin's in Facebook to English (scurvy pirate)? Just be off into ye settin's, below to speak 'n select English (scurvy pirate)! It gunna make ye feed so much more a ruckas this day! Hi friends! 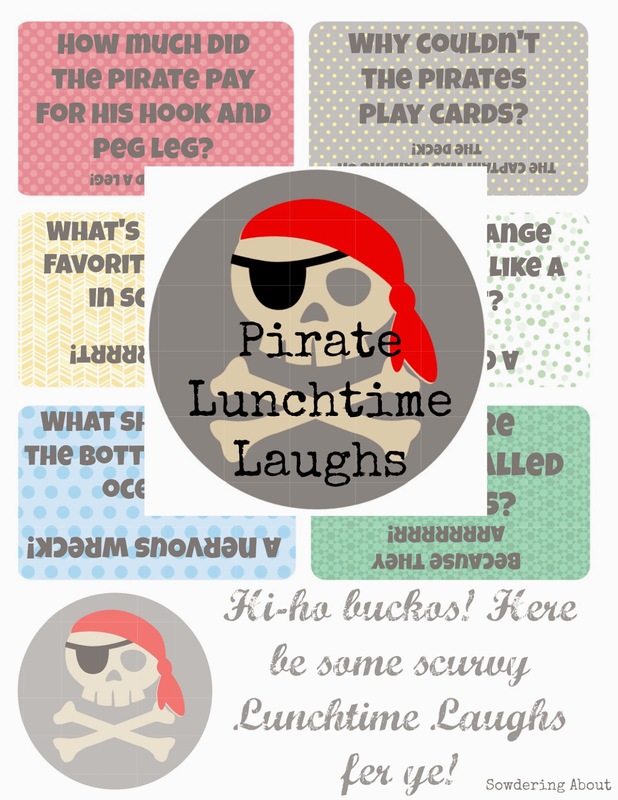 It's Talk Like a Pirate day and I thought it would only be fitting to give you some Pirate Lunchtime Laughs! Also, did you know that you can adjust your language settings in Facebook to English (pirate)? Just go into your settings, down to language and select English (pirate)! It will make your feed so much more fun today! I Love "Talk like a Pirate Day"......More Rum please!! !